During our Wednesday TBS chat several weeks ago, terrible tornadoes swept through Granbury, TX. One of our fellow TBSers, bRYEian, received word that his sister’s home had been destroyed. Everyone poured out their sympathy and offered to help in anyway, and when a donation drive was organized in the following weeks, our TBS family put their money where their mouths were. People showed up to donate money, gift cards, personal items, coffee…you name it. Thank you so much for your concern and willingness to help after last months tornado. Our family is touched and overwhelmed by your generosity. We are doing better daily, healing from sprains and scrapes,and slowly replacing what we have lost. Your gifts are helping us to do just that. May God Bless you richly for giving of yourselves without hesitation. You are among the many wonderful people who have stepped up to help our community and we are so very grateful. Categories: Uncategorized | Tags: craftbeerpeoplearegoodpeople | Permalink. The archive for #TBS22 via Storify. Categories: Beer | Tags: Hefe, May, Saint Arnold | Permalink. Unfortunately, the program we were using for archiving and our nifty chart is no longer a free program/service. 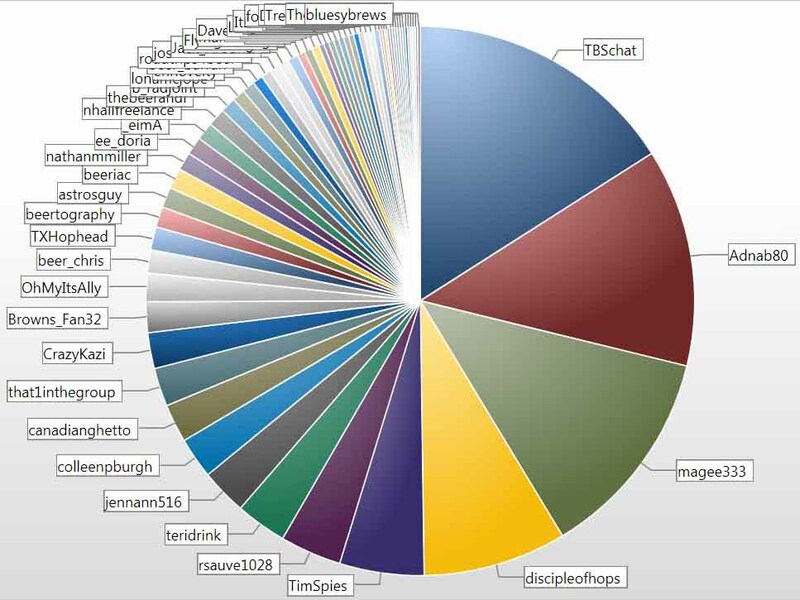 So no more chart or top tweeter list for now (unless Jenn gets fancy with Excel…which probably won’t happen). Boo, we know! However, we will find another way to archive the chat, and please tweet your photos (and cc @jennann516) each week so we can post them! Categories: Uncategorized | Tags: DIPA, douple IPA, June | Permalink. Categories: Uncategorized | Tags: Flanders Red Ale, Grand Cru, June, Rodenbach | Permalink. 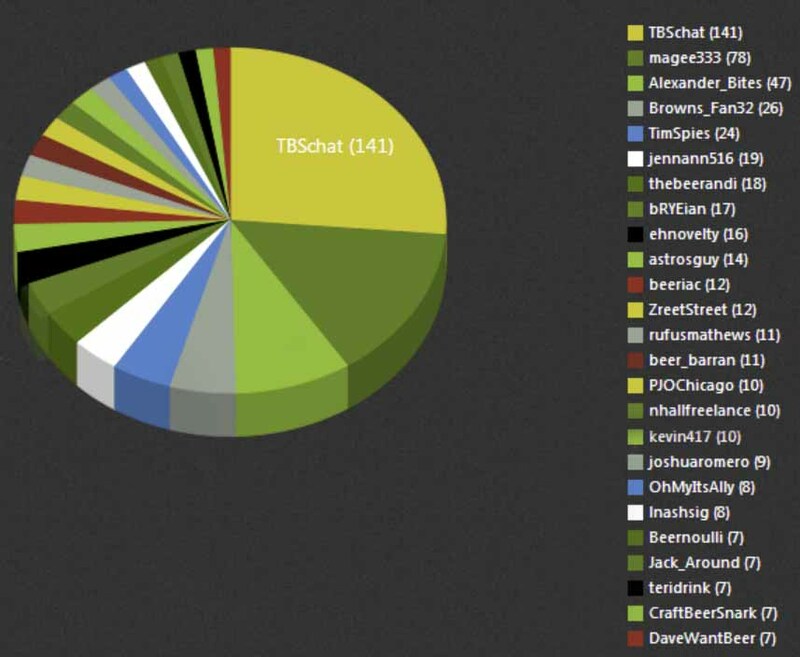 Archive of #TBS19 with 841 tweets! Categories: Uncategorized | Tags: May, variety | Permalink. Categories: Uncategorized | Tags: Founders, IPA, May | Permalink. Here is the archive of #TBS17.